Hindu religion is known for numerous festivals and celebrations. Since ancient times, Indian festivals are undergoing transformations and gaining new meanings. Festivals of India had always been a way to gain more prosperity in life and strengthening the bond with loved ones. That is why, we are here with Hindu Panchang containing the details of all the Hindu festivals observed in India and around the globe. It will help you in celebrating all these wonderful events during the Shubh Muhurat. Akshay Tritiya is one among those 3 and a half Muhurats of the year that are auspicious for doing many things. Puri Jagannath Rath Yatra, also known as Temple Car, is the festival dedicated to Lord Jagannath. It is celebrated in Orissa. Ashadi Ekadashi is also known as Devshayani Ekadashi. On Guru Purnima, people worship their Gurus. It is celebrated by Hindus, Jains, and Buddhists all over the world. Teej is the festival dedicated to Shiva-Parvati. It is mainly celebrated by the women of Nepal and northern India. Snakes are being worshiped since ancient times as gods. Hence, worshiping snakes on Naag Panchami is quite significant. Rakshabandhan is the occasion to celebrate the bond between brother and sister. Sister ties the thread of protection on the brotherâs wrist. Janmashtami is celebrated as the birthday of Lord Krishna. It is a big festival observed by Hindus all around the globe. Savan is the Hindu month dedicated to Lord Shiva. Keeping fast for Shiva in this duration brings blessings. On Ganesh Chaturthi, the 10-day festival begins to welcome Ganesha on earth. It ends on Anant Chaturdashi or Ganesh Visarjan Divas. Onam/Thiruvonam is a 10-day big Keralite festival. As per the beliefs, King Mahabali visits Kerala in this duration. Anant Chaturdashi is dedicated to Lord Vishnu. Navratri is the 9-day duration when Goddess Durga is worshiped. Each day is dedicated to one of her incarnations. Durga Puja is the 5-day Bengali festival dedicated to Goddess Durga. It is celebrated from sixth to tenth day of Sharad Navratri. Dussehra is one of the most important Hindu festivals. It is celebrated as the symbol of the victory of good over evil. Karwa Chauth is the day when women keep fast for the long life of their husband. The festival enhances the conjugal bond. On Dhanteras, people pray Lakshmi-Kuber to get more prosperity in their homes. Also, they buy expensive things for their homes on the occassion of Dhan Teras. Diwali is a 5-day festival. First day is Dhanteras, then Narak Chaturdashi, Diwali, Govardhan Puja, and Bhai Duj, respectively. Diwali is the festival of lights known for bringing prosperity in life. People worship Lakshmi and Kali on this day. Narak Chaturdashi is also known as Chhoti Diwali. On this day, people do Abhyang Snana in the morning and rest of the day is dedicated to the main Diwali day preparation. Govardhan Puja is performed on the next day of Diwali. On this day, devotees worship Lord Krishna and prepare many delicacies. On Bhai Dooj, sisters put Tilak on the forehead of their brothers and pray for them. This festival is also known as Bhau Beej, Yam Dwitiya, etc. Chhath Puja is one of the ancient festivals of India. Mostly celebrated in eastern region of India, it is a 4-day festival. Hanuman Jayanthi is celebrated as the birthday of Lord Hanuman. The dates may vary from region-to-region. Baisakhi, a festival of Punjab, is also known as Khalsa Srijan Diwas. The foundation of Khalsa was laid on this day. Ram Navami marks the birthday of Lord Ram, who is known to be the 7th incarnation of Lord Vishnu. Cheti Chand is an important festival for Sindhis. The day is observed as Jhulelal Jayanti as well because Ishtadev Uderolal (also known as Jhulelal, the Sindhi saint) was born on this day. Ugadi signifies the Hindu New Year for Telugu speaking people. In Maharashtra, it is known as Gudi Padwa. Gudi Padwa signifies Hindu New Year in Maharashtra. This day is celebrated in all over India with different names. Rangwali Holi is the huge Hindu festival of colors. It is celebrated with great gusto around the globe. Holi is the festival of colors, which is celebrated by Hindus every year. It is the celebration to bring people closer. As per the beliefs, Maha Shivratri is the day when Lord Shiva got married with the Goddess Parvati. Basant Panchami marks the beginning of the spring season. Some people perform Saraswati Puja on this day. As per the beliefs, Goddess Saraswati was born on Basant Panchami. Hence, Saraswati Puja takes place on this day. Pongal is the festival celebrated with great enthusiasm by Tamilians to end up the evil thoughts & start new beginnings. Uttarayan is one of the major Hindu events, which begins from Makar Sankranti and ends on Karka Sankranti. Makar Sankranti occurs when Sun transits in the Capricorn sign. On this day, Lord Sun is worshipped. Lohri is the festival chiefly celebrated in Punjab in the commemoration of Dulla Bhatti, a hero who saved many girls from Mughals. Every eleventh lunar day in the Hindu calendar is known as Ekadashi. The day is dedicated to Lord Vishnu. Purnima describes full moon in Hindu calendar. This day is quite significant for Hindus. Many people keep fast on this day. Pradosham is dedicated to Lord Shiva. It is believed that a person get rids from all his sins by keeping fast on this day. Masik Shivaratri is the day we venerate Lord Shiva . Fill in the year, select your city, & find out the dates for the future or even the years that have already gone by. Sankranti basically marks the transition of the Sun into various zodiac signs. Starting with Makar(capricorn), it begins the proceedings with Makar sakranti & so on & so forth. Amavasya is referred to the New Moon in the Hindu Calendar. It is a very powerful day for Hindus. Sanakshi Chaturthi is a day devoted for Lord Ganesha. This day is observed in every Lunar month of Hindu calendar month on the fourth day of Krishna Paksha. Valentineâs Day is named after the Christian martyr St. Valentine. It is the festival of love and is very popular among youth. Shradh is the ritual performed to relieve the souls of the deceased ancestors. It is performed during Pitru Paksha. Eclipse is known as Grahan in Hinduism. The event is quite significant for many people. It has immense religious and astrological values. Panchak is the 5-day duration in a Hindu month, when Moon transits from Aquarius and Pisces. It is considered inauspicious. Buddha Purnima is the day dedicated to Gautam Buddha. It is celebrated as the day when he had got enlightened. Vishu signifies the Hindu New Year in Kerala. It is known as Bisu in Mangalore and Udupi in some parts of Karnataka. Mahavir Jayanti is celebrated as the birthday of 24th Jain Tirthankar, Lord Mahavira. He had established the core tenets of Jainism. Hindu festivals are observed on the basis of movements and position of Moon (Lunar Month) & Sun (Solar Month) in the celestial belt. The date, time and auspicious muhurat for HIndu festivals can differ for two cities on the basis of location due to a difference in time zone. They are widely known as Tyohar or Parva, i.e.when the day is celebrated and Hindu Vrat, i.e when one fasts during the day. On most of the festivals as per Hindu Calendar, fasting is significantly included, where one fasts for a whole day or by the time Moon appears in the sky. Since the ancient times, Hindu Calendar is used to measure time and day and marks the incoming of important days, muhurats and festivals. Festivals in India are auspicious affairs where people gather together to celebrate the festivities and share bundles of joy, love and well-wishing. It comprises of a series of joyful events marking the passage of rites and rituals during a lifetime. Vibrant feelings, colors, festivities and music make up the whole ambience, bringing it alive while adding to the enthusiasm, excitement and ritualistic nature. People coming from overseas and landing on the Indian soil feel mesmerised and struck by the grand scale and infinite felicitation of Indian festivals. These are the moments where everyone gathers around and create some beautiful memories and commemorate great deeds of gods, goddesses, gurus, saints and prophets. 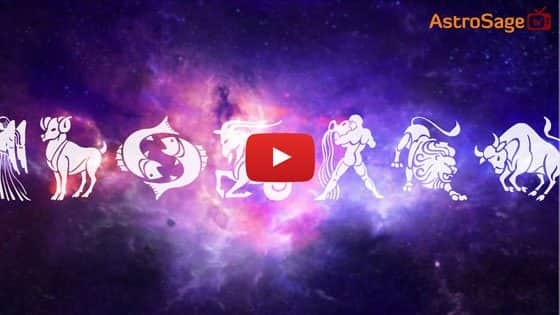 In astrology, these festivals embark a new beginning in zodiac signs and being about tons of opportunities and chances for them in their horoscopes to attain desires and objectives. ● Festivals help to create an environment of love, happiness and cultural harmony. ● It teaches the older and new generation the purpose of life, and how beliefs have lead them to lead a glorious life. ● They relieve the people from a monotonous routine. ● It teaches us to forgive our enemies, eliminate the bad within us and embrace each other with an open heart. ● These days hold a moral, cultural and ethical significance. In Hinduism, consulting an auspicious time or muhurat before commencing any big task, yagna, ritual or ceremony is practiced since ancient times. It holds a great significance during the time of marriage, fasting during festivals or conducting yagna for a ritual. Carrying out the ritual during this period ensures happiness, affluence and compatibility. It tells about both favorable (choghadiya, hora) to unfavorable time periods (rahu kaal) based on the position of constellations in the universe and time of sunrise and sunset. Muhurat is said to be a combination of a specific date, time and day auspicious to carry out any activity. Hindu Panchang specifies a day and date when a festival occurs, and during those hours, muhurat represents that specific auspicious period during which a native can carry out the rituals, puja or hawans to attain maximum benefits. A combination of Vaar (day), Nakshatra (stars), Tithi (date), Karan, Yog in a Panchang (Hindu calendar) makes up for a favorable time to recite the mantra, start the fast or worship on the day of festival. Muhurat proves to be very useful for natives who have lost or do not have their kundli or birth chart and need remedies to get rid of malefic effects of planets or doshas. One attains maximum results during an auspicious muhurat. Many Hindu holidays are calculated on the basis of lunar cycles present in the lunisolar calendar system. Dates for few festivals such as Pongal, Vaisakhi and Sankranti are calculated on the basis of solar cycle. There are innumerable festivals observed in India due to acts of worship, fasting, offering to deities, rituals, charity, celebrations, puja, aarti, signifying an ancient Hindu mythology and so on. ● Tithi: Also called as the “Date”, a Lunar Month is divided into 2 Paksha called Krishna and Shukla Paksha, which comprises of 15 Tithis each. ● Vaar: Known as the “Day”, HIndu Calendar comprises of seven vaars, which are Sunday, Monday, Tuesday, Wednesday, Thursday, Friday and Saturday. ● Yog: Called as “Luni-Solar Day”, there are 27 yogas in Vedic Astrology. ● Karan: Karan is also known as “Half-Lunar Day”. there are 60 Karan in a month, out of which seven are movable and four fixed. ● Nakshatra: Hindu Astrology says that there are 27 different constellations in the universe. Festive season in India is widely rejoiced by the people not only because of their historic significance but deep-rooted cultural norms and beliefs. Panchang defines good and bad time in one’s life and provide information about auspicious and inauspicious time to carry out any task, activity or puja during festivals.